Hortense Duarma Grimes is the founder of Do It For Christ Ministry. 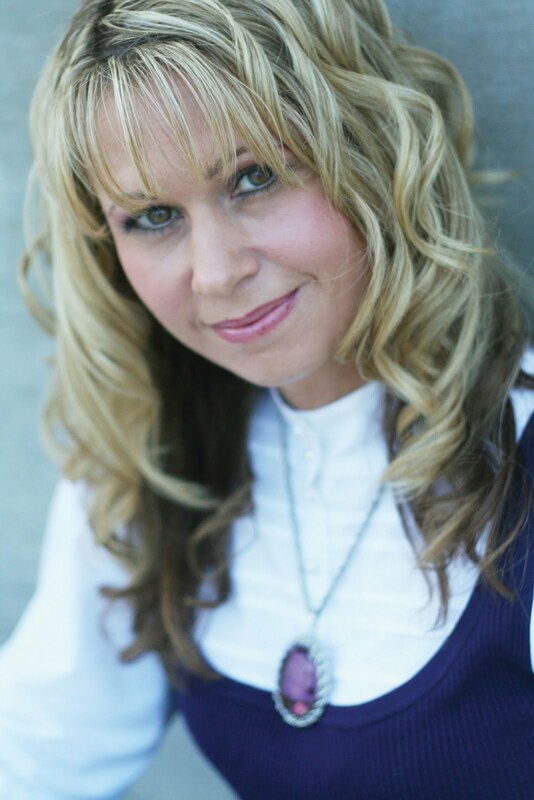 She is a Christian faith-based motivational speaker, writer and evangelist. Ms. Grimes is a native of Liberia, West Africa and a former resident of Charles County, Maryland. After twenty-one years residing in the United States, God in His perfect holiness completed that phase. The Lord instructed her to return to her native Africa and work for Him to fulfill the Vision of the ministry. She is currently in transition. Ms. Grimes can be contacted via her website at www.doitforchrist.org. near their parents; tying shoe strings, pressing handkerchiefs, and running their numerous miscellaneous errands around the house. She deal with a lot of adversity, but though out all she keeps her closeness with God. There are time when she should have listened to what God was telling her...sometimes several times, but doesn't. I learned things about Liberia that I didn't know. I recommend reading a very well written autobiography. I was given this book by Readers Favorite, and was not required to give a good review. 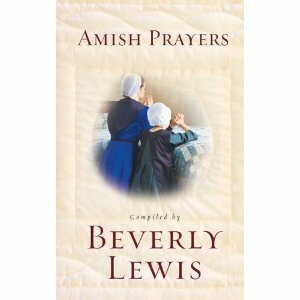 The Amish as well as other Anabaptist groups have used the same book of prayers for centuries. Now for the first time a selection of these prayers is readily available in English. This exclusive authentic translation from the original German--with an introduction by Beverly Lewis--will give readers insights into the spiritual foundations of the Plain people. Each prayer is paired with a Scripture passage to draw readers closer to God. 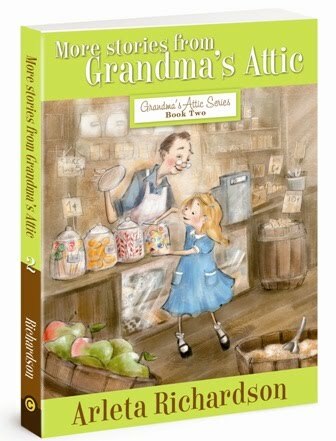 This hardcover illustrated gift book is perfect for old and new fans of Amish fiction alike. I really like this Devotional Book. 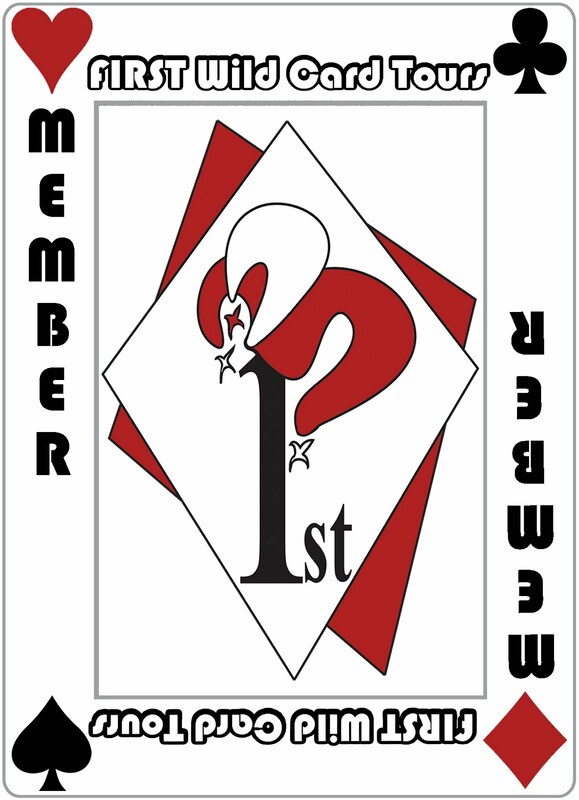 There is a Table of Contents in the beginning leading you to what you may need that day. 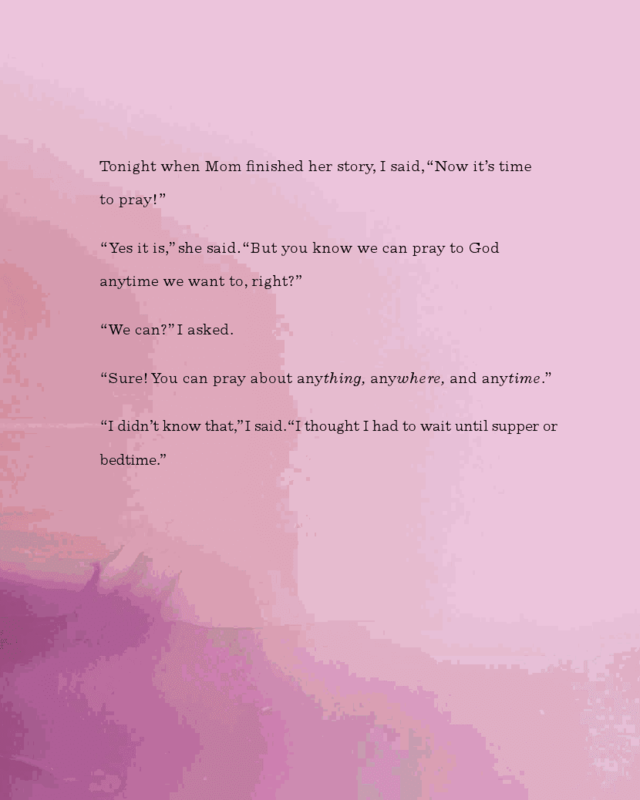 Included are several prayers [with sweet Amish drawings] along with the appropriate scripture that applies. Enjoyed the Foreword by Beverly Lewis the author. She explains the German prayer book Die Ernsthafte Christenpflicht has been with the Amish since the first printing in 1708. 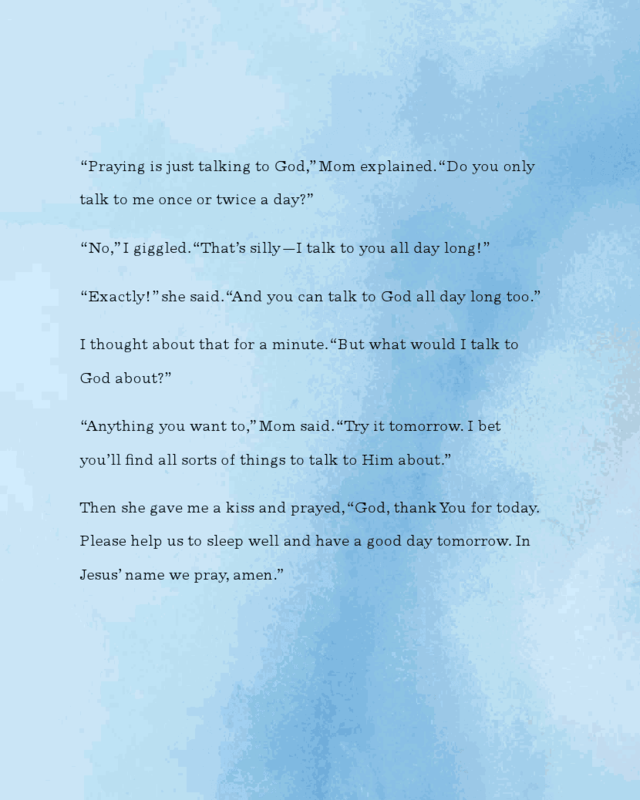 The written prayers are regarded as a precious possession by both the Amish and the Mennonite. The book includes translated prayers from the original German book. How fortunate we are to be able to enjoy these. Thank you Beverly Lewis for sharing this with us! Disclosure of Material Connection: I received this book free from of Bethany House. I was not required to write a positive review. The opinions I have expressed are my own. I am disclosing this in accordance with the Federal Trade Commission’s 16 CFR, Part 255: “Guides Concerning the Use of Endorsements and Testimonials in Advertising. I absolutely loved these books. 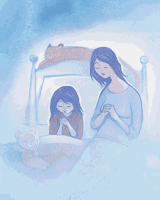 They give great messages on life to children [adults], the family shows a great faith in the Lord. Think one of my favorite stories, and my Grandson's too is Mrs Carter's Fright. When I was reading this to Alex, my Grandson, he ended up rolling on the floor with laughter. If I could have a meeting with some one living or dead in the literary field it would be Arleta Richardson. She has enriched my life with these wonderful books, in fact my cat is named Sarah Jane...after Mable's best friend! They're driving to Florida for Ruth's 50th high-school reunion. A longtime widow, Ruth would like to reconnect with Royce, the love of her teenage life. She's heard he's alone, too…and, well, she's curious. Maybe even hopeful. Bethanne herself needs time to reflect, to ponder a decision she has to make. Her ex-husband, Grant—her children's father—wants to reconcile now that his second marriage has failed. Bethanne's considering it…. So there they are, three women driving across America. They have their maps and their directions—but even the best-planned journey can take you to a turn in the road. Or lead you to an unexpected encounter—like the day Bethanne meets a man named Max who really is a hero on a Harley. That's when Bethanne's decision becomes a lot harder. Because Grant wants her back, but now there's Max…. 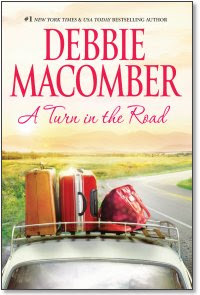 I loved this book, and Debbie is one of my favorite authors. I remember the book when Grant left her and the Children..A Good Yarn (Blossom Street, No. 2). Now he realizes he wants his wife back, he will do anything she wants to accept him. When Bethanne runs into her former Mother-in-Law and finds out she will be driving alone from Washington State to Florida. Bethanne immediately decides to go along with her, and her Daughter Annie makes the choice to come along too. I love the relationships here, and the adventures they have. In the end you wonder who Bethanne is going to choose. I found myself not rooting for Grant, but the grown children want their family back together. Loved this visit with old friends and catching up with their lives. You can read this book as a stand alone, but for me I just want to get updated! Thanks for a wonderful treat Debbie! Disclosure of Material Connection: I received this book free from of MIRA Books. I was not required to write a positive review. The opinions I have expressed are my own. I am disclosing this in accordance with the Federal Trade Commission’s 16 CFR, Part 255: “Guides Concerning the Use of Endorsements and Testimonials in Advertising. I Loved this book..Adelaide was led to believe Henry loved her. So she gives up her job and everything to go to Fort Worth, only to learn that he has a wife and a son. She is devastated but she is only mourning the life she wanted as a wife and mother...she really doesn't love Henry. Looking up to the clouds and praying God sends her a message. She applies for and gets the job of Governess for Isabella. What a delightful relationship she forms with Izzy...can just picture them as they clean the attic room! What Adelaide doesn't expect is to fall in Love with Gideon, Izzy's Guardian and new father to her. Love the way things work out for them, but things can't stay perfect...enter the evil Uncle Reginald who will do anything to gain control of the child's fortune. Once you pick up this wonderful book...you have to keep reading to the end. The book and the opinions are my own. Synopsis: With a head more suited to bookkeeping than a bridal veil, Ida’s dreams include big business- not beaus. Ida Sinclair has now joined her Sister's....Two Brides Too Many...Kat and Nell in Cripple Creek, Colorado. She is a Modern woman and wants to be a Business woman...she is not interested in marriage. According to the Author Mollie O'Bryan was indeed a real person, but her character in the book is fictional. Ida decides she wants to be just like Mollie, which includes insider trading in the stock market. Two men want Ida...one is a successful lawyer Colin Wagner, and the other is the Iceman...Preacher Tucker Raines. Loved the character of Miss Hattie...aka Matchmaker. What a loving wonderful woman she is and her heart belongs to God. Can't wait for the next book in this series when Vivian arrives, also wonder if there will be more for Willow? Love books set in the 1800's and learning about the life back then...never thought about the Stock Market being around then. This is a good fast read book, you will have a hard time putting it down. Amid the war of 1812, Baltimore farm girl Rose McGuire is rescued by the least likely of heroes--British Naval Lieutenant Alexander Reed. How will she keep this enemy officer hidden from her family and friends? Alex didn't plan on getting shot while rescuing a maiden in distress. Now at her mercy, he wonders if Rose will turn him over to the Americans or if his own troops will find him and charge him with desertion. As their attraction grows, a British invasion of Washington begins. What role will these young lovers play to change the course of history forever? What a great book. Love Historical romance and this one doesn't let you down...in fact it is hard to put down! This is Rose's and Alex's romance. They had to learn to trust in God and by doing so they found each other. The story takes place when the enemy is on US soil. There are alarms sounding every so often to alert to the coming of the soldiers. I found some little know facts about the War of 1812 that come out in this book. I was literally laughing out loud about Prinney the Pig...and of course Liverpool the Cow! Loved when she told Alex their names...after the Prince Regent of England, and Lord Liverpool the Prime Minister!! I Loved Mr Drummond...Rose's Uncle...what a great character he was. Her Aunt Muria kept throwing Mr Snyder at her...and he was very interested in Rose. Enjoyed how everything worked out, and if it had me on edge, and couldn't put the book down. Highly recommend this great read...you won't be disappointed!! Disclosure of Material Connection: I received this book free from of Barbour Publishing. I was not required to write a positive review. The opinions I have expressed are my own. I am disclosing this in accordance with the Federal Trade Commission’s 16 CFR, Part 255: “Guides Concerning the Use of Endorsements and Testimonials in Advertising. 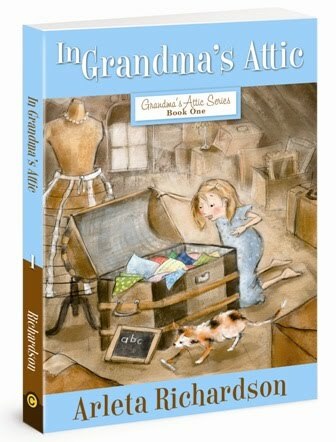 Wonderful book to have for your Children, my 4 and 6 year old Grandsons loved it. Opens up the world of talking to God. Showed them that any time is the right time to talk to Jesus ...whether they want to thank him or ask for forgiveness. The illustrations are very nice, and the kids enjoyed looking at it. 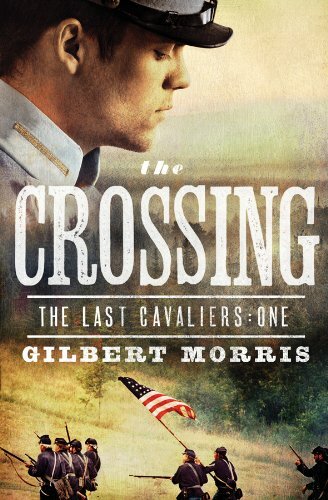 From beloved author, Gilbert Morris, comes a new trilogy about the Civil War. Yancy Tremayne, son of an Amish man, joins General Stonewall Jackson's troops, which leads to adventure and romance with a Southern belle. Widower Daniel Tremayne returns to his Amish roots, but his son, Yancy, joins a Virginia militia and becomes one of "Stonewall's Boys" in the War between the States. The novel is rich with characters struggling to make sense of the war and of Amish pacifism while maintaining loyalty to family. Yancy's grandmother says, "I saw that you'd decided to be a soldier. And we always told you that we would respect your decisions, and we do. But I have to tell you that it grieves me, it truly does." Injured in battle, Yancy is nursed back to health by Lorena, who wrestles with her own past. The first in "The Last Cavaliers" series combines adventure and romance in a thick historical and religious setting that fills the page with believable missives, news reports, and a love story in the midst of war. I really enjoyed this book, what a gift Gilbert Morris has, and I for one am glad he shares it. I learned a lot about the Confederate side of the War, which I hadn't known. I have always lived in the North, but this book was making me root for the South. 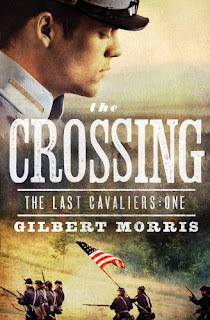 I loved that included in this story was facts about the Indians...Cherokee, Amish, Virginia Military Institute, and the Civil War. There are also a few love stories intermingled with the Military. There are things that happen that will make you chuckle and others that you will need tissues for. I loved the descriptions of the beautiful America...mostly in Virginia where this novel takes place. I can't wait for the next two books in this Civil War Saga. Wade's ranch home needs a woman's touch. Abigail's life needs a cowboy's touch. Abigail Jones isn’t sure how she went from big-city columnist to small-town nanny, but her new charge is growing on her, to say nothing of her ruggedly handsome boss. Love blossoms between Abigail and Wade--despite her better judgment. Will the secrets she brought with her to Moose Creek, Montana separate her from the cowboy who finally captured her heart? Abigail Jones knew the truth. She frowned at the blinking curser on her monitor and tapped her fingers on the keyboard-what next? Beyond the screen's glow, darkness washed the cubicles. Her computer hummed, and outside the office windows a screech of tires broke the relative stillness ofthe Chicago night. She shuffled her note cards. The story had been long in coming, but it was finished now, all except the telling. She knew where she wanted to take it next. Her fingers stirred into motion, dancing across the keys. This was her favorite part, exposingtruth to the world. Well, okay, not the world exactly, not with Viewpoint's paltry circulation. But now, during the writing, it felt like the world. Four paragraphs later, the office had shrunk away, and all that existed were the words on the monitor and her memory playing in full color on the screen of her mind. “And you’re scaring me. It’s after midnight, Abigail—what are you doing here?” Marilyn Jones’s hand settled on her hip. “About a million times.” Abigail settled into the chair, rubbed the ache in her temple. Her heart was still recovering, but she wanted to return to her column. She was just getting to the good part. “You had a doctor’s appointment yesterday,” Mom said. Abigail sighed hard. Compassion and frustration warred inside Abigail. “He was sixty-two.” And his pork habit hadn’t helped matters. Thin didn’t necessarily mean healthy. She skimmed her own long legs, encased in her favorite jeans . . . exhibit A.
Abigail’s spirits dropped to the basement. “Aunt Lucy lives in Montana.” Where cattle outnumbered people. She felt for the familiar ring on her right hand and began twisting. Abigail’s conscience tweaked her. 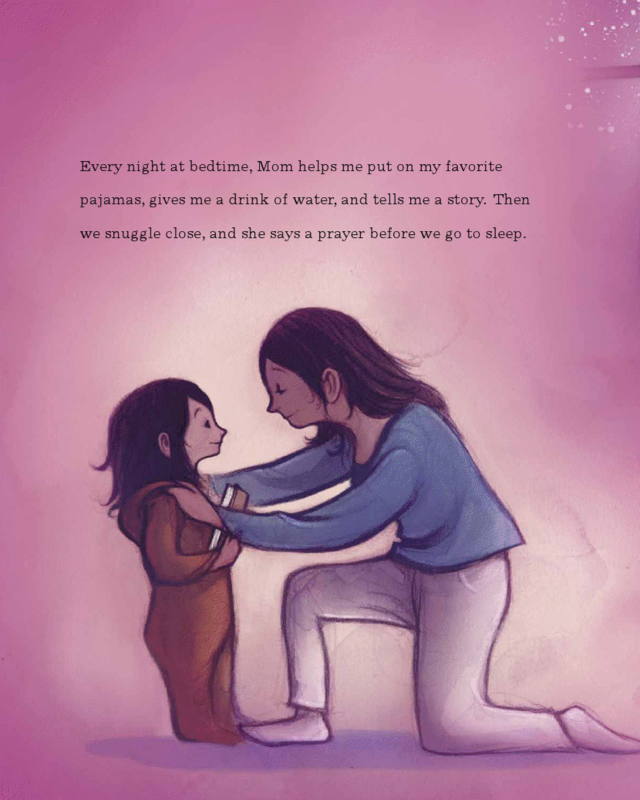 She had a soft spot for Aunt Lucy, and her mom knew it. Still, that identity theft story called her name, and she had a reliable source who might or might not be willing to talk in a couple weeks. “So I’m a hard worker . . .” She lifted her shoulders. “I’m the Truthseeker, Mom. That’s who I am.” Her fist found home over her heart. 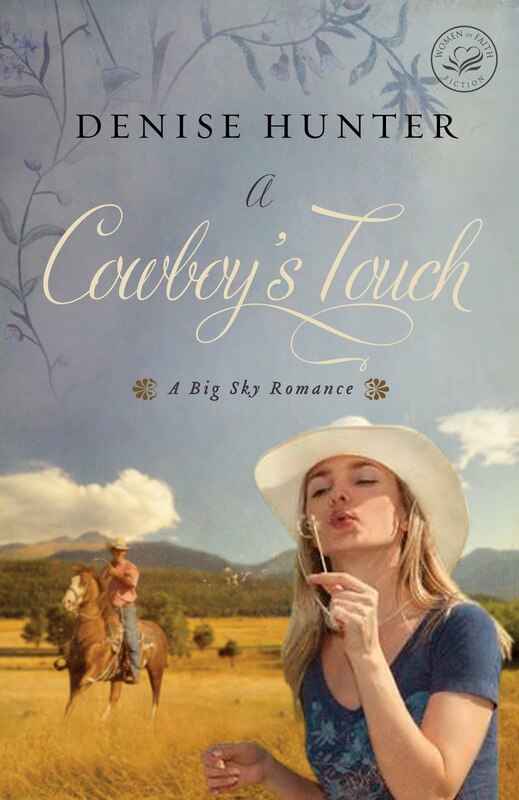 As the first book in the Big Sky Romance series, A Cowboy’s Touch is the story about a truthseeker who ends up discovering the real truth and a cowboy who learns to let go of his past. Hunter shines as she draws her readers into an intriguing world of boots, chaps and cowboy hats. This heartwarming romance is a story of love, pain and forgiveness. 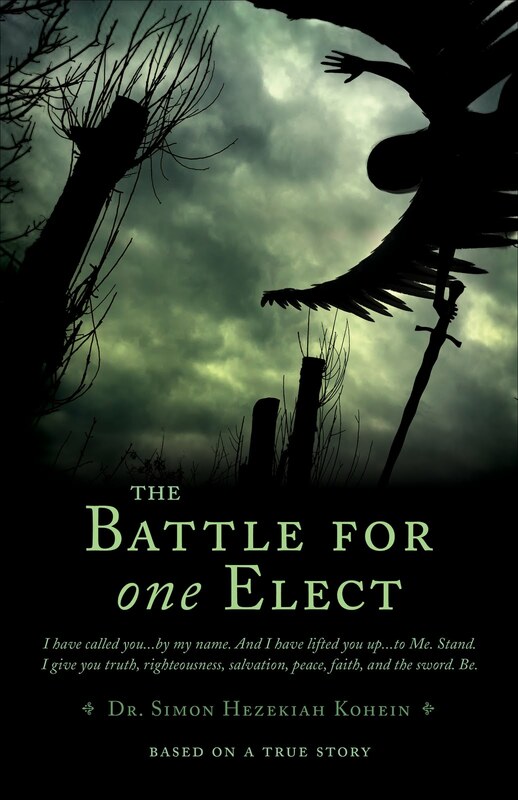 It has also been named a Women of Faith novel for 2011. Hunter can also talk about encouraging others to go for their dream of becoming a writer. She talks more about that in her interview below. Do the secrets from our past affect who we become in the future? Can the hurts we’ve experienced really prevent us from finding true fulfillment? Abigail Jones is considered a work alcoholic, she has lost her Dad at a young age from Hypertension and now she is having the same symptoms. When word comes that concerns her Mom about her Aunt Lucy's health, she convinces Abby to take a break and check her out. So Abby ends up in Montana! When she arrives she finds her Aunt a bit eccentric and a little forgetful, but really doing ok. What she doesn't expect to do, but ends up doing is becoming a Nanny for Madison, a 12 yr old whose Dad Wade Ryan runs the cattle ranch. You will have a hard time putting this book down, it is a really good read. Love how the Character's need to trust the Lord and forgive themselves. Disclosure of Material Connection: I received this book free from of B & B Media Group. I was not required to write a positive review. The opinions I have expressed are my own. I am disclosing this in accordance with the Federal Trade Commission’s 16 CFR, Part 255: “Guides Concerning the Use of Endorsements and Testimonials in Advertising. Joel Townsend is thrilled to learn the town council hired a female teacher to replace the ruthless man who terrorized his nephews for the past two years. Having raised the boys on his own since their parents' untimely deaths, Joel believes they will benefit from a woman's influence. But he sure didn't bargain on a woman like Miss Amsel. Within the first week, she has the entire town up in arms over her outlandish teaching methods, which include collecting leaves, catching bugs, making snow angels, and stringing ropes in strange patterns all over the schoolyard. Joel can't help but notice that she's also mighty pretty with her rosy lips, fashionable clothes, and fancy way of speaking. This story is set in Walnut Hill, Nebraska starting in September 1882. Her first experience with the Children is rather frightening. 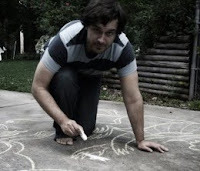 The kids are shaking, come to find out the last teacher had terrorized them. The first thing she does is destroy the switch! What a delightful teacher she is, made me wish I had gone to school there. Edyth Amsel grew up young, she held her family together after her Mother's untimely death. She raises her siblings, and when the youngest is old enough to go live with her married brother, she sets out to grab her dream of teaching. She has decided to rely on herself and never have to take care of a family again. Edyth may not want to rely on anyone, but love how the Lord works on her heart. You will have a hard time putting this book down. Disclosure of Material Connection: I received this book free from Bethany House. I was not required to write a positive review. The opinions I have expressed are my own. I am disclosing this in accordance with the Federal Trade Commission’s 16 CFR, Part 255: “Guides Concerning the Use of Endorsements and Testimonials in Advertising. Chrissie's Shell is a darling heartwarming tale of a turtle who dreams of being somebody else. She feels her shell is empty, until God shows her who she really is! Beautifully illustrated pictures of the animals she helps, without thinking. Also it shows pictures of the ones she desires to be. My 4 year old was hysterically laughing at the bear in a turtle shell. The story shows a great story of acceptance, would recommend this book as a real keeper. I was provided a copy of this book by Warner Press, the opinions expressed are my own. Eleven-year-old Roz (Rosalind) Anthony and her family have just moved to Mills River, Illinois, to escape an abusive situation. Only days after settling into their new home, they are surprised to find the previous owner, Tillie Monroe, on their front porch reading the newspaper. Though her sons have sold the house and sent her to a facility for the aged, she is determined to die in the place she lived her life, and somehow manages to find her way "home" day after day. Feeling sympathy for the elderly woman, Roz's mother allows Tillie to move back in. Mara Nightingale becomes Roz's first friend in Mills River. In spite of their many differences, the girls discover they have something in common that binds them together--both are hiding secrets. So they make a promise--"cross my heart and hope to die"--never to tell anyone else. When danger stalks the Anthonys, Tillie exhibits unimaginable courage and selfless love in her determination to protect the family she has adopted as her own. Told from eleven year old Roz's perspective, she along with her Mom Janis, brother Wally, and sister Valarie leave MN and move to IL. They no sooner move into their new home in Mills River when Tillie Monroe shows up on their front porch...reading their paper! They must have thought they had a real nut on their hands. Love the lessons Tillie is able to teach this family, guess the Lord knew what he was doing when he brought her there! The friendship between Roz and Mara will make you chuckle...can just picture the two of them placing the screaming Valarie on Mom's friend! Am so glad they were able to find one another...pinky sware, and Promises to Keep are sometimes dangerous as Roz finds out the hard way. This book does have spousal abuse, drug abuse, and the Vietnam War. 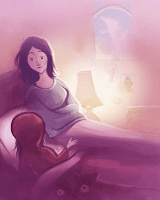 Roz experiences some flashbacks of her life in Minnesota, but isn't sure about them. Just like most children she wants her Dad back in the family. I really enjoyed that this book has an Epilogue, love finding out the finishing parts of lives. Thank you Ann! Synopsis: The creature Satan has declared War on Almighty God. We are the prize. The evil one honors no convention; he wants you in Hell. Our Sovereign Father has provided for our free will and will not break integrity. Who is making decisions? Who is our defender? Dr. Kohein was born in Israel in 1944. 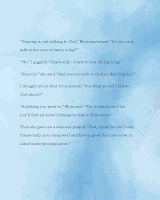 This is his life in his own words as he eloquently shares with his deceased wife. There are no visions, no appearances of angels, no blinding lights, and no audible words spoken from heaven as the intense battle for his soul ensues. Dr. Kohein intimately demonstrates how God allows, even ordains, the enemy's severe assaults as those most precious are ripped away through death, birth, betrayal, spiritual wickedness, demon inspired false teachings.... Dr. Kohein is humbled into knowing that he is unable to recover from these wrongs. How should he respond? Herein is hope. These are words to remember – you'll be moved throughout the entire letter. This story will haunt you. Stay awake. The Holy One is even now gathering us to himself. Simon is a very religious man and very open about it. He really has had a tragic life. The book is a letter to his deceased wife Adina. The very first chapter will have you in tears when he finds his beloved dead. He had new born twins, and his daughter Eliana meets him at the door saying "Mommy won't wake up". The books is the story he is telling his wife. It is about their children's lives. There were points in the books, where I was completely lost as to who was whom? I did love the way Simon expressed many times his love for his Lord. He had so many challenges raising these children, and a lot more as they became adults. I see Satan's hand in their constantly. I would recommend this book, it is a wonderful "Love" story! Disclosure of Material Connection: I received this book free from Tate Publishing. I was not required to write a positive review. The opinions I have expressed are my own. I am disclosing this in accordance with the Federal Trade Commission’s 16 CFR, Part 255: “Guides Concerning the Use of Endorsements and Testimonials in Advertising. The cover of this book seems to draw you in...the bright yellow of the girls dress. 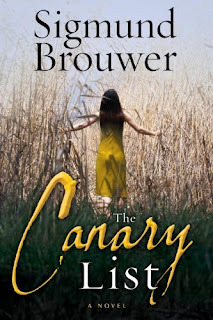 This is not a story about birds or Canaries! At first I struggled to get into this story...not my kind of book! As the story progresses I found myself getting more and more into it. The character's seemed very real...like Jamie I wanted to go live with Nanna. Are there really deamons running around like in this book? One would hope not, but then I'm not so sure. You find yourself being drawn in by the innocent teacher just wanting to block out the day his little daughter died, and wanting help for the little girl! Wanting to help these 2 the book does become a page turner. Know some of the facts in this book I have read about before, so is there truth in this story? You will have to judge for yourself! Wait until you get to the end! It will have you scratching your head and wondering about the whole story! Yes I would recommend this book, and hope it is just fiction! Synopsis: Raised in a tribe of street urchins, Maddie Grande was taught to be a thief and beggar on the streets of New Orleans. But Maddie doesn't know her real name or where she came from. Raised by Dexter Grande, Maddie and her twin "brothers" have recently left New Orleans and moved to the bayou. The twins are rarely there, but Maddie has come to love the swamp. She has learned to fish and trap and sell pelts at the local mercantile. Maddie longs to change her life but knows that her brothers will never give up their lawless ways. 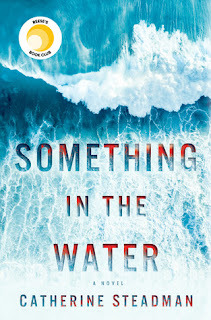 When they kidnap the daughter of a wealthy carpetbagger, the twins force Maddie to hide the precocious eight-year-old while they return to New Orleans to wait for notice of a reward. Pinkerton agent Tom Abbott is assigned to the kidnapping case in which Maddie has become an accomplice. In a journey that takes them to Baton Rouge, a mutual attraction becomes evident, but Tom and Maddie cannot trust each other. Will Maddie and Tom listen to their hearts or will they choose honor over love? Will Maddie ever discover who she is? Will her real family ever find her? 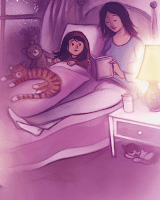 First the cover draws you in to this story. Set in New Orleans and starting in the bayou. I can just picture the area where her camp is...with the Spanish Moss hanging everywhere. When the twins get rich quick plan includes kidnapping Penelope ...they didn't realize what they were getting into. She is so precocious and a little handful...you can't help smile! When you learn of the life of the life Maddie had as a Child you become horrified. How could it happen, but this was in the 1800's. She has a nightmare quite frequently, she cannot figure out. Loved the interaction of Maddie and Tom. Can they overcome their differences and find a relationship? Will darling Penelope find her way home? Will the Twins pay for their crimes? You will love finding the answers to these questions and more...read this wonderful book! I was provided a copy of this book by Zondervan, the opinions express are my own! Synopsis: Sienna Collins, owner of the Harmony Grove Bed & Breakfast in Lancaster County, Pennsylvania, learns that she is under investigation by the federal government for crimes she knows nothing about. A few hours later she finds her ex-boyfriend, Troy, dead, and her life and livelihood begin to spin wildly out of control. She begins to doubt everyone around her, even the handsome detective assigned to the case. As Sienna tries to clear her name, she is forced to depend on her faith, the wisdom of the Amish, and the insight of the man she has recently begun dating. 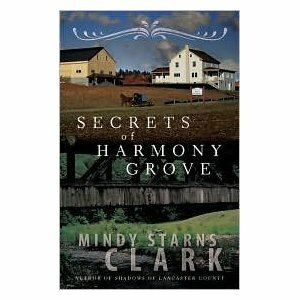 She’ll need all the help she can get, because the secrets she uncovers in Harmony Grove end up threatening not just her bed-and-breakfast, but also her credibility, her beliefs, and ultimately her life. Sienna's Grandfather had been brought up Amish, but her Dad and his family had not. The setting for her Inn is an Amish Community. She does have a lot of Amish family who live around her inn and help her. The spin on this story will take you from a serene Amish community to Nazi Germany and the Concentration Camps. There is a lot twist and turns in the story, including Mob involvement. There is also her Grandfather's PTSD from the War. Just when you think you know what is going on...something else happens. It becomes a real page turner...keep them coming Mindy! The opinions expressed are my own!